Celebrate with a toast from around the world! You’ll find some great drinks to offer your kid and grown up party guests in our “Summer Sips Kit“. 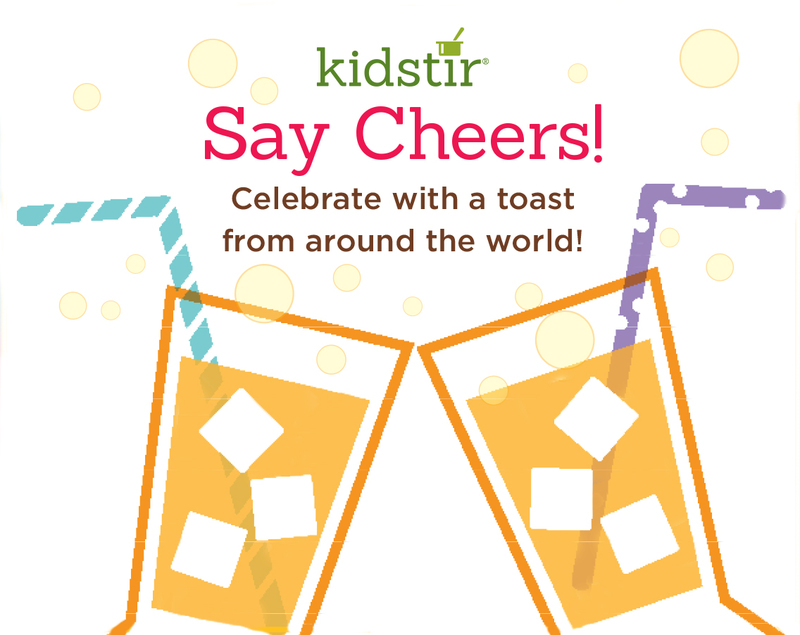 Plus, check out our drink recipes: Magic Melonade, Lemon Fizz, Grape Fizz, and Sip Sip Hooray for your toast to worldly kids! Now that you have learned how to toast in the languages above, you can discuss other travel and culture tidbits like what kids eat for breakfast around the world, or world cheeses like Havarti, Feta, Stilton, Brie or Gruyere. Finally, you can challenge your friends to our quiz “Where do Bananas Grow Around the World?”. Cheers!